Go Small. Go Light. Go Weedless. 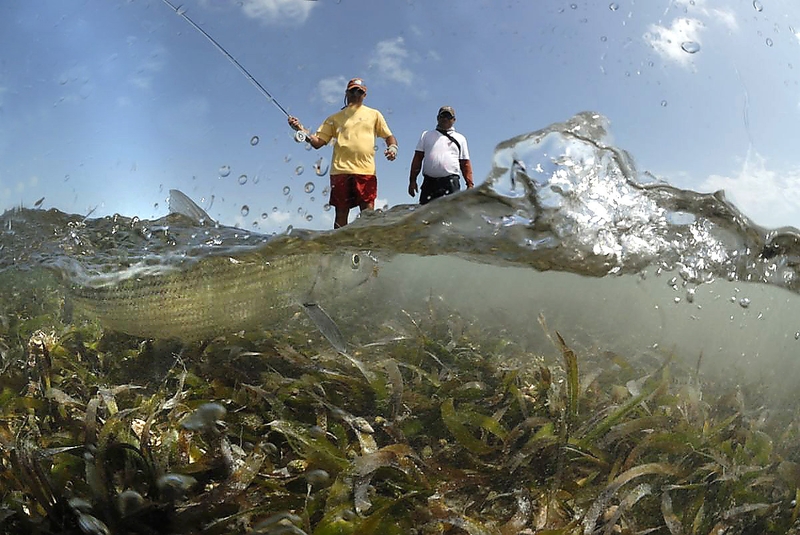 You can encounter tailing fish on any fertile bottom, but weedy bottoms hold the most prey, therefore the most fish. Big fish seem more comfortable feeding in the shallows over a dark bottom. Click here for tips on Shallow Water, Tailing Fish. The end of the outgoing and beginning of the incoming brings the skinniest water that’s when you’ll find fish tailing over the weeds. To catch them, you’ll need a fly that doesn’t “plop” when it hits the water: go small. A tailing fish is focused on a small area. Frequently he’ll create a cloud of sand or mud where he’s feeding. You must put the fly in the area where’s he’s rooting, a matter of inches from his nose. You must throw a fly that doesn’t spook him when it lands: go light. Once the fly lands in front of the fish, let it sink, then give it the tiniest of strips: go weedless. Without a weed guard, your fly will invariably snag on grass and stripping a fly that’s hooked on a weed is like drag on a dry fly. Click Here for Tips on Tailing Fish over Weedy Bottoms. There are loads of excellent flies for bonefishing in skinny water, but our number one fly is the Bunny Bone when we need to go small, light or weedless. Having a variety of Bunny Bones in your fly box is a necessity, especially when wading for bonefish. Tan or brown (tied with tan or pink thread) rabbit fur tail with a little gold Mylar and mono eyes are top producing colors. It’s also a great fly in slightly deeper water with small or medium bead chain eyes, instead of mono. Try adding crazy legs and don’t forget the weed guard! 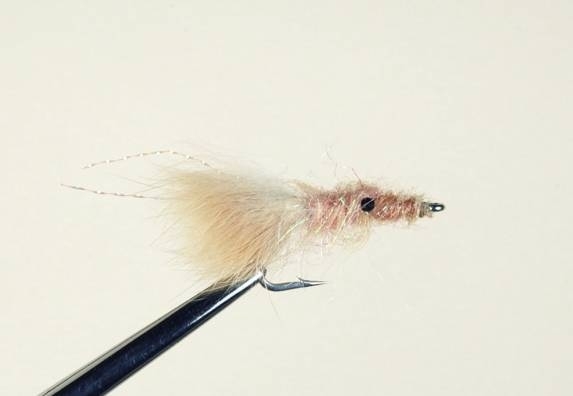 Click here for more information on tying bonefish flies, including the Bunny Bone.